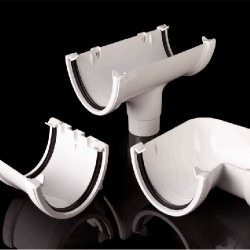 Our White Deep Flow Gutter is manufactured by FloPlast, the market leader in the UK. 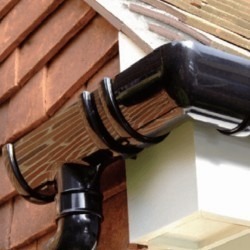 White Deepflow is suited to any building with a large or steep roof, and it looks particularly good with white UPVC Fascia. Modern style public buildings such as new churches and libraries often seem to incorporate white deepflow gutters into their designs. 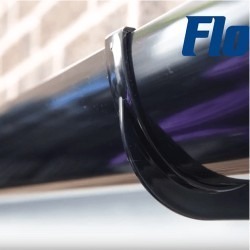 We stock a full range of White Deepflow Guttering covered by 10 year colour guarantee and 20 year performance guarantee.